When Bren-Tronics first introduced the lithium ion electrochemistry for military batteries back in 1995, the question of the charging solution occurred. Indeed, Lithium Ion requires a strictly controlled charging profile for safety purposes. Instead of designing one charger per battery type, or upon customer demand, we took the lead on designing chargers per operational usage (vehicle mounted, soldier portable and maintenance) and not per battery type. The same charger supports all types of chemistry (NiCd, NiMh, Li-Ion), battery voltage and form factor. New charging profiles can be downloaded for charging capability evolution. As of today, more than 70 different types of military battery packs are supported by Bren-Tronics Universal Chargers. Decades after the first universal charger, Bren-Tronics was awarded in September 2017 by the United States Marine Corps the Advanced Battery Charger program (ABC) which is the next generation of Military-Grade battery chargers. 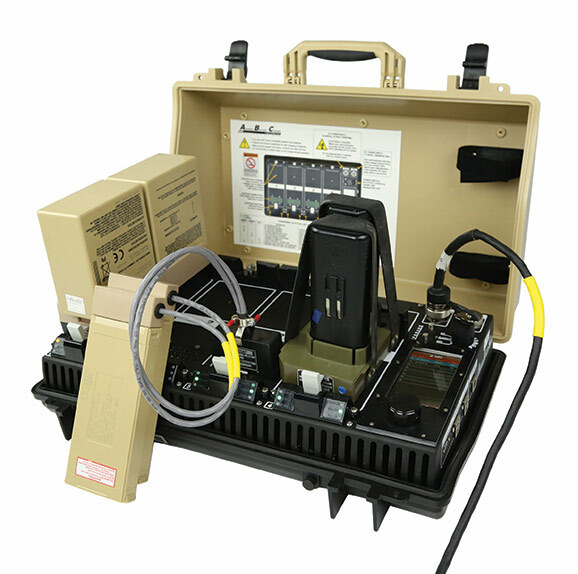 The Bren-Tronics Advanced Battery Charger (ABC Charger) is a portable battery charging solution that offers next-generation improvements in size, weight and efficiency, while providing selectable power, faster charging times, increased environmental survivability, and other significant innovations. 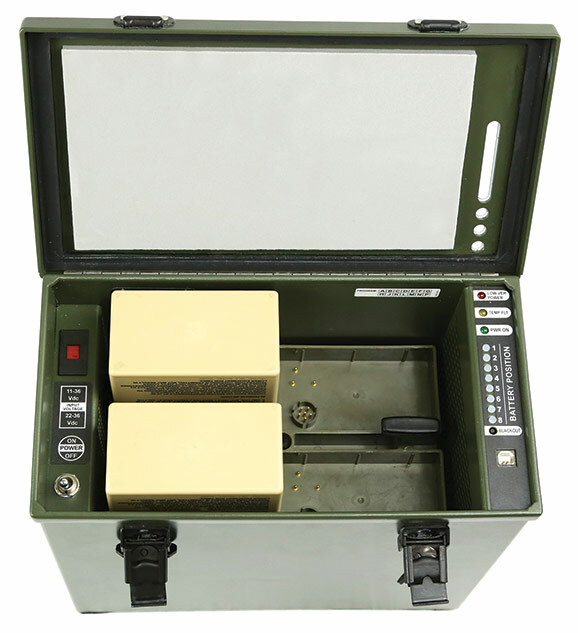 The charger is designed to quickly and efficiently charge current and future-format military and commercial batteries used on communication, electronics, robots and other tactical platforms. Battery charging capabilities include but are not limited to: BB-2590/U, BB-390B/U, BB-2557/U, Conformal Wearable Battery (CWB) and many others. The charger will accept multiple power inputs including universal AC, wide range DC, power from solar panels, fuel cells, wind turbines, etc. For vehicular and tactical charging needs, Bren-Tronics presents its new VMC Mini charger. This vehicular universal charger is 30% lighter and smaller than the VMC Light. It can recharge up to 4 BB-2590/U batteries at the same time. Our main concerns have always been safety, reliability and performance. Safety is controlled by the internal battery management system monitoring and balancing each cell in charge and discharge mode to prevent any internal electrical abusing. It is also guaranteed thanks to the state-of-the-art lithium-ion charging profile CCCV (Constant Current – Constant Voltage) integrated on all universal chargers. With these new generation chargers, Bren-Tronics continues to lead the way in cutting edge operational improvements to power the modern war fighter! Both chargers can be seen during Eurosatory in Paris between the 11th and 15th of June 2018, on Bren-Tronics Booth Hall 6 # B660.